Kid Projects! - Free Spirit & Mind! 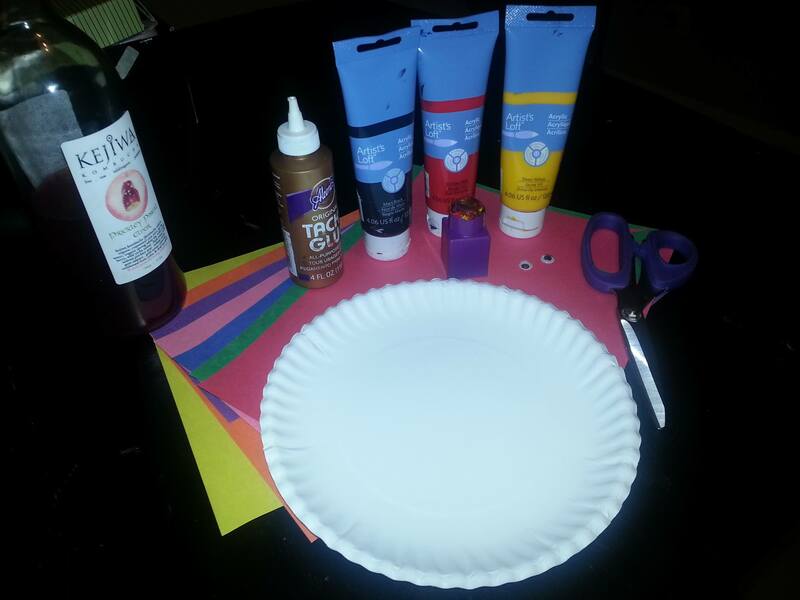 On this page i will be posting random fun projects for you to do with the kiddos around the house! So go ahead and start following now, so you can get creative ideas for your home too! I have been struggling with my son using words as a way to hurt peoples feelings. I did not know what to do about his recent habit, all I knew is that it made me sad. I do not want my child to think it is good to use words as a weapon! I had tried several ways to talk to him about his new form of communication but nothing seemed to get through to him. 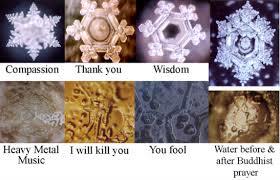 Then I remembered the experiment by Dr. Masaru Emoto so I decided to give it a try with my 3 year old. 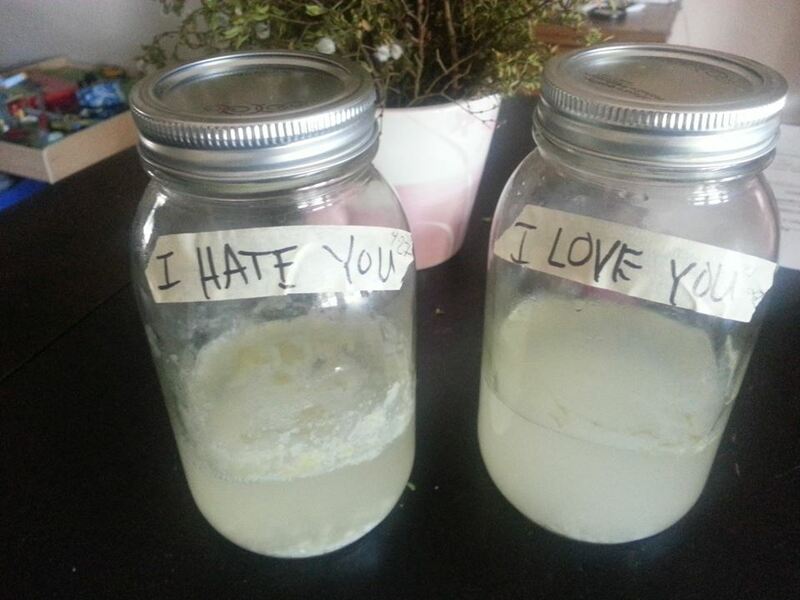 Each day we would wake up and as soon as we went downstairs for breakfast or snack we would speak to the jars we had labeled with either “I HATE You” or “I Love You”. But we would only speak nice, kind, loving and enduring words to the jar labeled “Love”. And we would yell at, tell nasty things to and say ugly words to the jar labeled “Hate”. 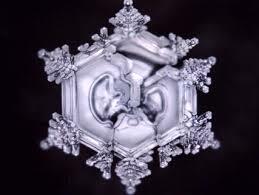 Dr. Masaru Emoto had 3 jars & he ignored the 3 jars but I thought this concept would not be understood by a 3 year old, so we decided to skip the 3rd jar. As the days progressed we started to notice that the jar labeled with “I HATE You” was pretty dirty and cloudy in color. But the “I Love You” jar was barely effected at all. My son pointed this observation out as often as he could, constantly asking, “Mommy why is the “I hate You” jar so yuki? I would explain to him how our words can effect even the smallest of things like a few grains of rice… and rice isn’t even alive so that should tell you something. 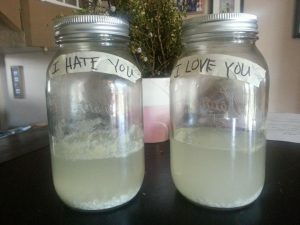 Notice all the “sludge” on the I Hate you jar? After a couple weeks of this routine the “I Love You” jar was finally starting to get cloudy and milky, so it was time to end the experiment. Here is a video of the final talk my son & I had about the Power of Positive Talk. I took my son Vance to the park. We then ran around looking for the best fallen leaves to collect. I explained to Vance that we did not need to pick any fresh leaves because that will hurt the tree, but we could collect any fallen leaves because the trees had given these freely to us. 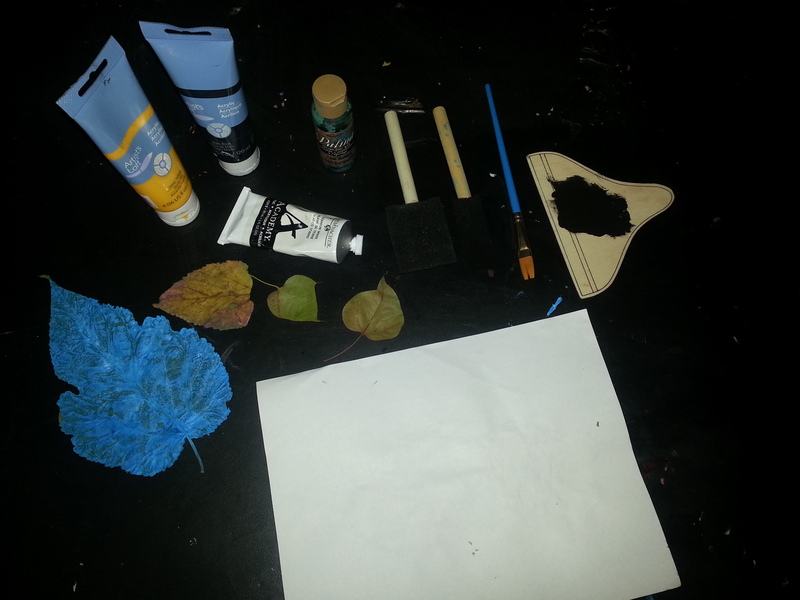 Once our leaves were collected we went home & I pulled out some blank paper, paint & paint brushes. We then pained the leaves with Vance’s choice of paint color-this time it was Blue! We made sure to coat the leaf heavily with our paint. Lastly Pressed the leaf to the paper to imprint the leaf onto the paper. Look at our final project! How cute is this!?! All the while I explained to Vance what we were doing so he could grasp the idea and the nature of the craft project. 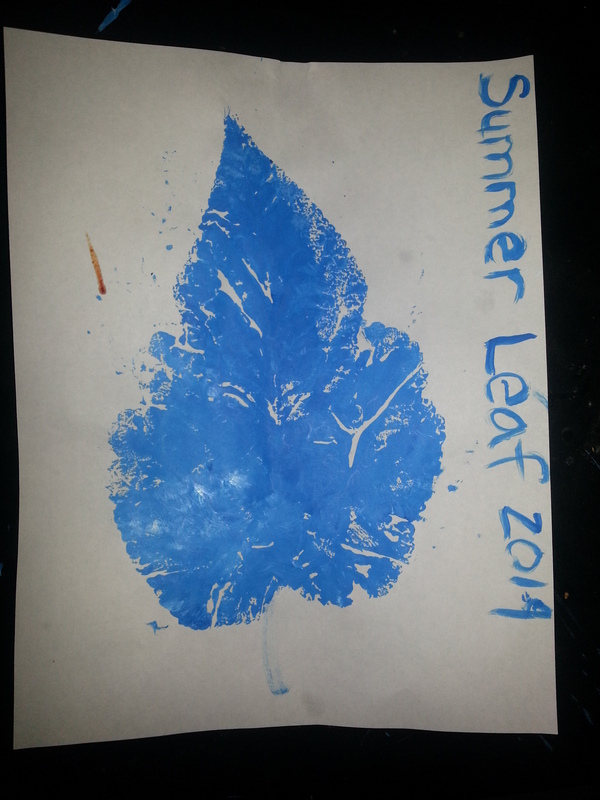 I then wrote on the paper “Summer Leaf 2014” so we knew what the project was & when we saved it we could recall the year. Then we hung the Summer Leaf on the fridge for all to see. The cutest part of this project was watching my son get so excited in the park collecting leaves. He kept finding the prettiest leaves and some old ones, that I had to tell him would not be any good for the project! Then the painting was a blast too! Vance always loves getting the paints out and making a huge mess-we even painted each other a little in fun! No worries it will wash off! So come on get the kiddos & go outside to collect some leaves before the Summer is over! Okay so I do not know about you but being a single mother I have to find every way I can to budget. 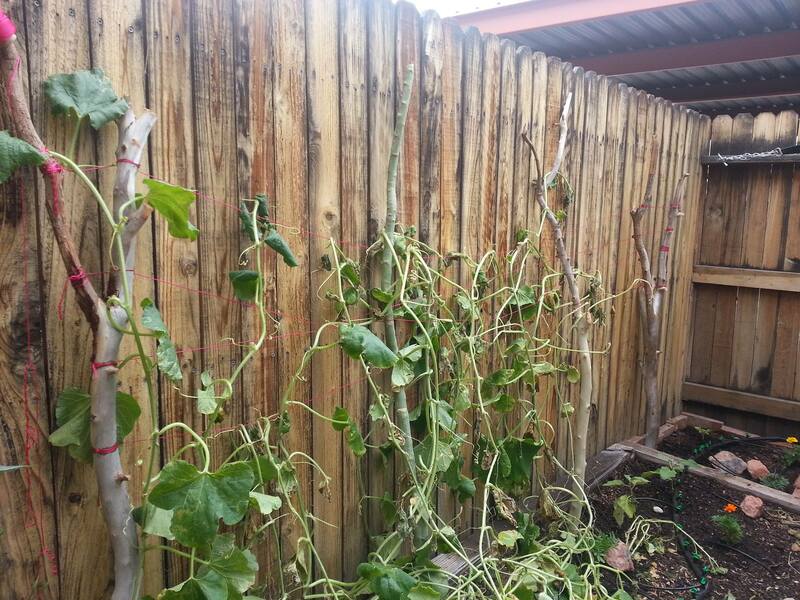 So when I was thinking of ideas for my garden trellis I was not willing to blow $100 plus dollars on my garden trellis, especially since I am renting. 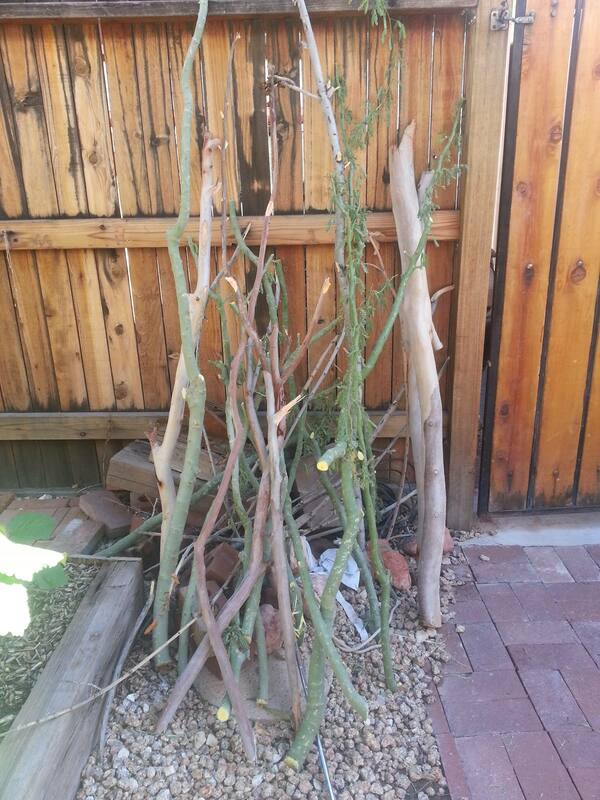 Therefore the idea came to mind that I should just collect sticks, buy some twine & create my own natural garden trellis. So I took my son out for a field trip to the local park & we looked for fallen sticks. It was just our luck that we had a huge storm here in Glendale the previous week, so tons of nice sticks & branches were there waiting for us to harvest them :). My so asked me why we were collecting these sticks. And so I explained to him that we were harvesting these sticks so we can build our own trellis to support the plants in the garden. When we got home I decided to make an art project out of our field trip. 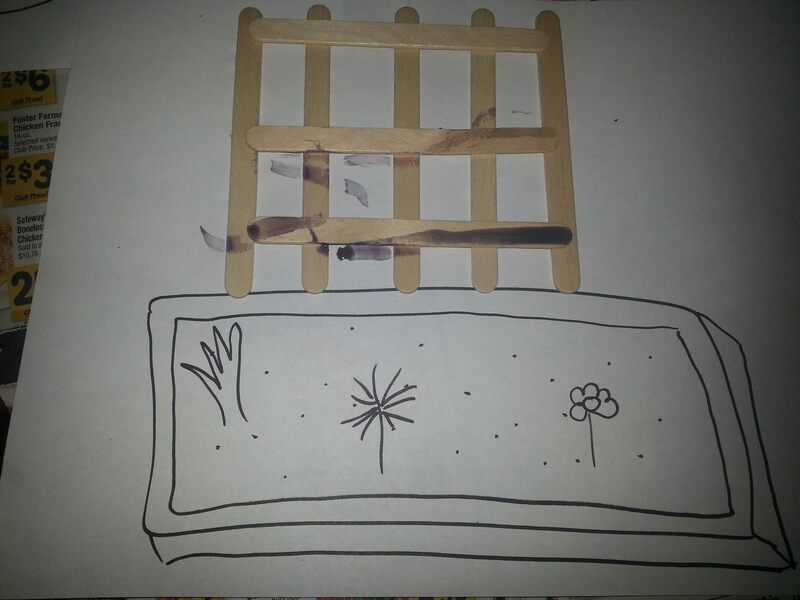 So I drew a garden bed & pulled out some popsicle sticks and glue & showed him what a trellis looked like. e had so much fun, he even painted the trellis a little. So what I did was cut down the branches to fit nicely along the East fence for the Trellis. I had to make sure to cut off the little arms on the branches so the sticks were branch-free. Then I went to Home Depot & bought a spool of twine for about $3 bucks. And wrapped the branches with rows of twine. All the while making sure the twine rows were taut so they will support the vines that will grow around them. My son & I were board so we decided to do a couple art projects. 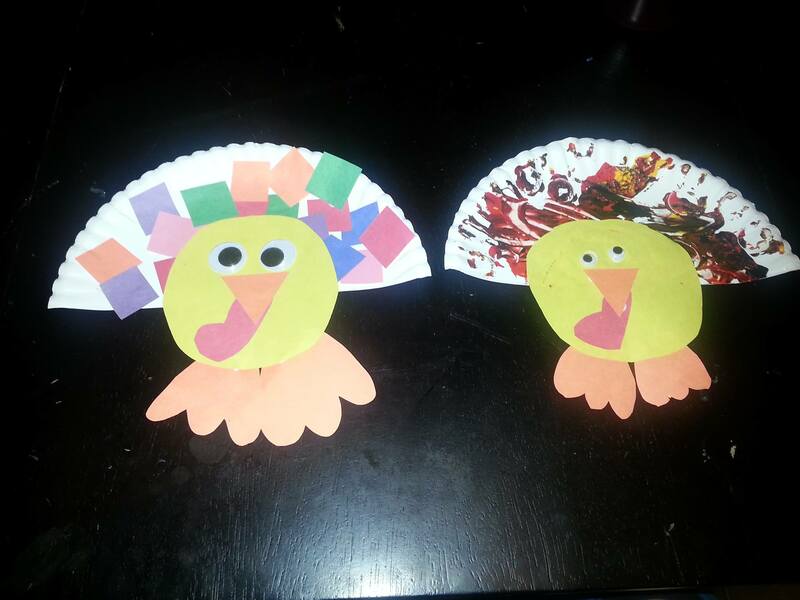 He asked to make a turkey so I got to work collecting items to make a couple cute turkeys. This project only took maybe 10 minutes from start to finish. And then I cut out the shapes for the turkeys & the squares for the turkeys tails. He was playing with his legos at the time so I asked him to bring one to the table and we used it as a stamper. That was his favorite part of the project. He liked placing the squares on the dots of glue I laid for him, but most of all the stamping got him the most excited.